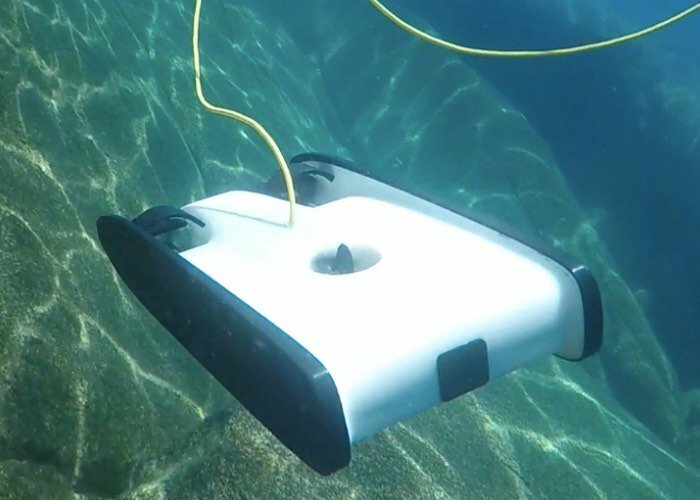 After raising over $800,000 via a successful Kickstarter campaign, the development team behind the awesome OpenROV Trident Underwater Drone, have revealed this week that the underwater drone is now going to be powered by the just as awesome Raspberry Pi 3 mini PC. To recap yourselves on the features of the Trident underwater drone, check out the video below which provides an introduction to the design, technology and functionality of this underwater exploration drone. Just after the Raspberry Pi 3 was announced, we began to research whether it would be possible to port our existing OpenROV software over to the Pi. After some final testing last month, including testing done during our Tahoe expedition, we made the decision to move our system over to the new architecture, and we couldn’t be happier. Having multiple cores gives Trident much better video and data processing capabilities, which will continue to come in handy as we release software updates. The built­-in features will make the entire system more solid from the get-go. Moreover, Trident will be (in our opinion, at least) one of the coolest devices that uses the Raspberry Pi. We’ve designed the Trident software to include an integrated development environment, so people wanting to write their own plugins and modifications can edit their code directly on the vehicle through their web browser, with no additional software needed. Fueling a strong developer community has always been core to OpenROV, and we think our integration of the Raspberry Pi 3 will move us even further in that direction. The Pi 3’s WiFi has been invaluable because we needed a simple way to talk to external payloads, without requiring soldering or specialised waterproof connectors. WiFi allows us to establish a high-speed connection with many off-the-shelf WiFi-enabled devices, such as GoPro cameras, 360 cameras, and IoT devices, as well as user-made payloads that can be connected to a WiFi module. Radio doesn’t travel very far through water but since payloads are physically attached to the vehicle, that creates a conduit in the insulating material through which the signal can travel. We wanted to create a user interface that was isolated from the vehicle electronics so that no matter what happens to the payload, the vehicle will continue to work reliably. We’ve been really happy with this system so far, and we’re excited to start designing more payloads for it soon. We’ll also publish more about the software plugin architecture soon. For more details on the OpenROV Trident Underwater Drone jump over to the official website via the link below. If you enjoy building Pi projects you might be interested in our comprehensive list of Raspberry Pi displays, HATS and small screens.